The great Indian poet Acharya Dandi had said that if the light of language does not exist, we will be groping in a dark world. Language is a tool for intellectual and emotional expression. Language is a vehicle for the transmission of culture, scientific knowledge and a worldview across generations. It is the vital, unseen thread that links the past with the present. I have always emphasised the importance of protecting and conserving our linguistic heritage. Our languages are a crucial part of our history, our culture and our evolution as a society. Some languages have been given classical language status because of their ancient literary heritage. For instance, Tamil literature dates back to 500 BC, Telugu to 400 BC, Kannada to 450 BC, Malayalam to 1198 AD and Odia to 800 AD. Each of these languages has a rich treasure house of literature, starting from Sangam literature and Tholkappiyum in Tamil, Kavitrayam’s Andhra Mahabharatam in Telugu, Ramacharitham of Cheeraman in Malayalam, Kavirajamarga of Amoghavarsha in Kannada and Kharavela’s inscriptions in Odia. For each of the populations speaking these languages, their literature is a matter of pride and distinct identity and the language is a goddess to be revered. There are songs in praise of these languages like “Maa Telugu talliki Mallepoo danda” in Telugu. “Jai Bharatha Jananiya Tanujate” in Kannada and “Thamil Thai Valthu” in Tamil. These songs send listeners into raptures. Studies by experts estimate that almost 600 languages are on the verge of extinction and that more than 250 languages have disappeared in the past 60 years. When a language dies, an entire culture dies. We simply cannot let that happen. Protecting our cultural heritage, including languages, is our constitutionally-mandated duty. Studying ancient texts and propagating them among modern audiences is the need of the hour. Since studying the classical languages and literature would provide access to authentic sources of history, the National Mission for Manuscripts was set up when Atal Bihari Vajpayee was prime minister. In their foreword to Sanskrit Computational Linguistics (2009), Gerard Huet, Amba Kulkarni and Peter Scharf have said, “Extant manuscripts in Sanskrit number over 30 million, one hundred times those in Greek and Latin combined, constituting the largest cultural heritage that any civilisation has produced prior to the invention of the printing press.” Preservation of ancient texts is only the first step. What we need to do is to encourage scholars to do research using these primary sources and unearth new nuggets of knowledge. Today, technology is transforming the way we live and work. We must harness the power of technology to preserve and promote our languages and culture. 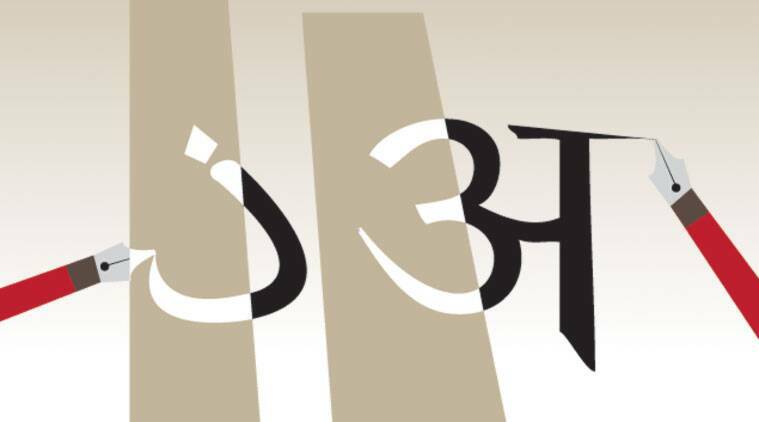 The resources required to develop language technology and artificial intelligence-based tools are inadequate or unavailable for many Indian languages. To fill this gap, the Government of India launched the Linguistic Data Consortium for Indian Languages (LDC-IL) in 2008 and has been preparing high-quality linguistic resources over the last 11 years in all the scheduled languages of India. The Data Distribution Portal is also being launched, where more and varied datasets will be added in the coming days using several types of AI-based technologies such as automatic dictation, speech recognition, language understanding, machine translation, grammar and spell check. The mission of “digital India” can be a mission for a literate India and a mission for an inclusive knowledge society. The Central Institute of Indian Languages has been doing commendable work to provide linguistic resources in Indian languages. I hope they will continue these efforts with renewed enthusiasm. Language preservation and development needs a multi-pronged approach. It should begin at the primary school level and be continued to higher levels of education. Functional literacy in at least one language should be ensured. Language should become a catalyst for inclusive development. Language promotion should be an integral part of good governance.